Disclosure: This is part of a sponsored campaign for Suavitel Fragrance Pearls. As always, opinions are my own. There are certain scents that always bring me back to my childhood. One of those scents is Suavitel. Growing up, it was the only fabric softener my mother used. I loved whenever I reached for a freshly washed towel or a pair of jeans and inhaled the scent. It was a simple reminder of everything my mother did for me; it reminded me of her love. Now that I’m a mom, I find myself recalling the moments of my childhood, wanting to create the same experiences for my son and family. And that includes the little things, like laundry. 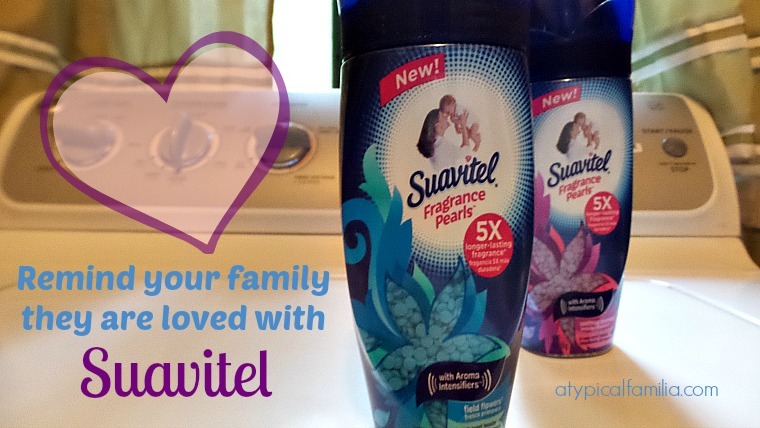 I’ve been using Suavitel for years – it’s been a mother’s love through the generations. Laundry may not be my favorite task to do, but I love washing and folding my Norrin’s clothes. I like spending Sunday evenings, sitting on the sofa folding clothes and putting together his outfits for the week. I may be a WOHM and my husband is modern man but I still enjoy taking care of my family. Doing things for them – like laundry – makes me feel like we’re connected, even when we’re apart. A mother’s greatest satisfaction is making her family feel that they are always cared for and the longer-lasting scent of Suavitel Fragrance Pearls reminder her family of her love. My washing machine recently broke (I know, hold me) and for the first time in five years, I had to go outside to wash clothes. 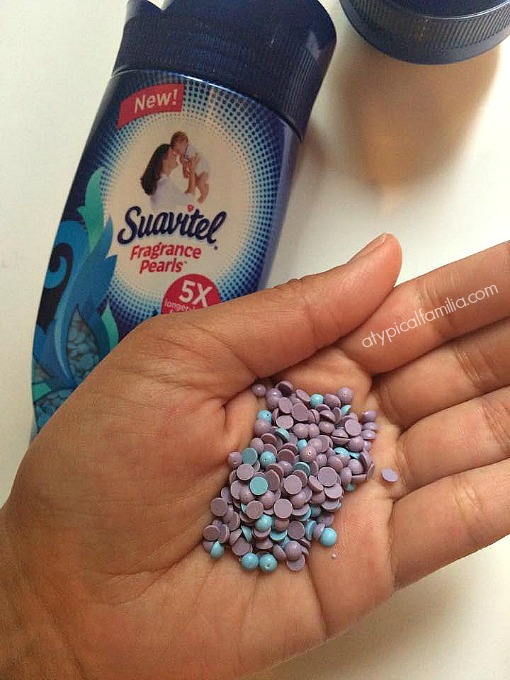 I love Suavitel Fragrance Pearls but these last few weeks I’ve loved them even more. I haven’t had the luxury of washing clothes on a daily basis in the comfort of my own home. Suavitel Fragrance Pearls had all of our clothes smelling fresh on the 2nd and 3rd wear. The same for our towels and sheets. That’s such a good feeling – the smell of clean clothes, towels and sheets. It makes getting dressed so nicer and going to sleep so much more relaxing. And I hope the scent of freshly cleaned clothes reminds Norrin of how much he is loved.